Balham is a South London neighbourhood within the London Borough of Wandsworth. Balham has an ancient history and is mentioned in the Domesday Book. Today Balham is famous for the Balham Food Festival and The Bedford pub, which hosts live music and comedy events. Balham can be reached by car via the A24. 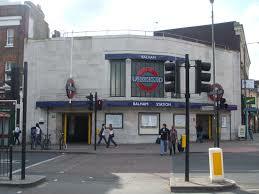 Balham has good public transport and offers railway and tube links via Balham tube station and Balham railway station. Lanes has a fleet of well designed and technologically advanced cars. Lanes have been providing driving lessons in Balham, London for many years. Please call us today on 020 8166 5678 or click here to send us an email via the contact page. Lanes have a team of driving instructors in Balham, London. Please call us today on 020 8166 5678 or click here to send us an email via the contact page. Our female driving instructors have a easygoing approach to teaching. Pupils will learn faster when they feel calm and relaxed. Lanes have a selection of female driving instructors in Balham, London. Please call us today on 020 8166 5678 or click hereto send us an email via the contact page. Lanes have a selection of automatic driving instructors in Balham, London. Please call us today on 020 8166 5678 or click here to send us an email via the contact page.